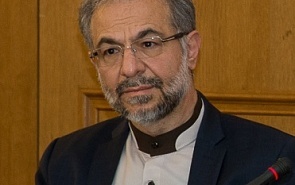 Advisor for Minister of Foreign Affairs of the Islamic Republic of Iran, Former Ambassador of the Islamic Republic of Iran to Finland. ﻿The Russian-Iranian dialogue is a good opportunity to establish a new atmosphere and exchange views between academicians and university experts, politicians and intellectuals. I can say, that this is a very good event for further development of relations between Iran and Russia.